I received complimentary products in exchange for promotion on this post and on social media. This post contains affiliate links. Please see our Legal page for more information. 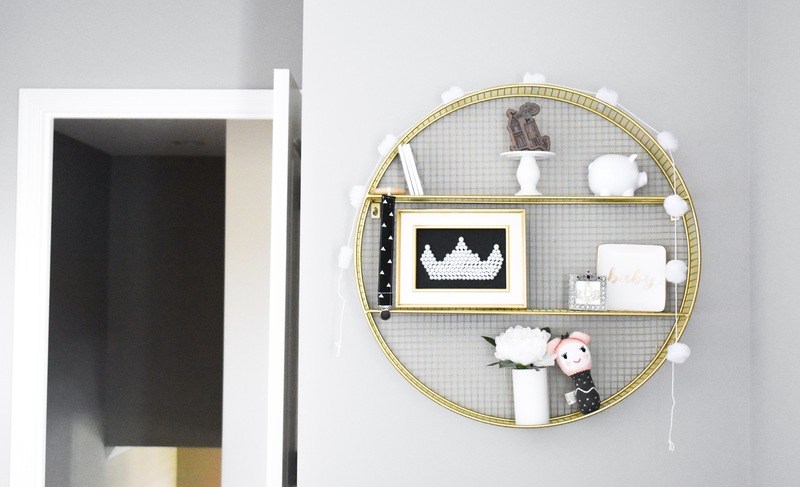 We’ve made some major progress in our monochrome baby girl nursery since the last time I wrote about Baby’s room. I can’t believe she’ll be joining us in just 2 short months! I’ve been working quite a bit to make sure her room is ready for her arrival… since, let’s be real, I won’t have any time to work on the nursery once she’s here. Honestly, sometimes the thought of entertaining 2 children all day scares me. At least newborns don’t require much entertainment. Just milk. Lots and lots and lots of milk. But enough about that, I’m excited to show you what I’ve been working on! First of all, we have crib bedding! 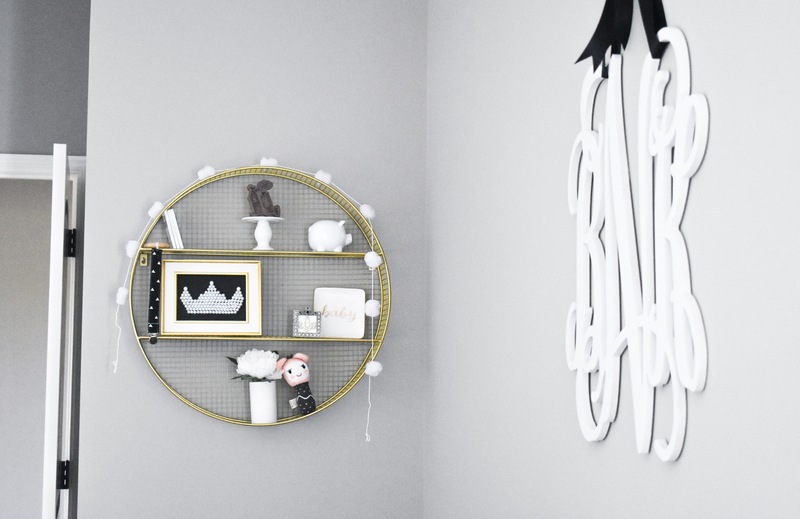 This is one of the most exciting changes in Baby Girl’s monochrome nursery. 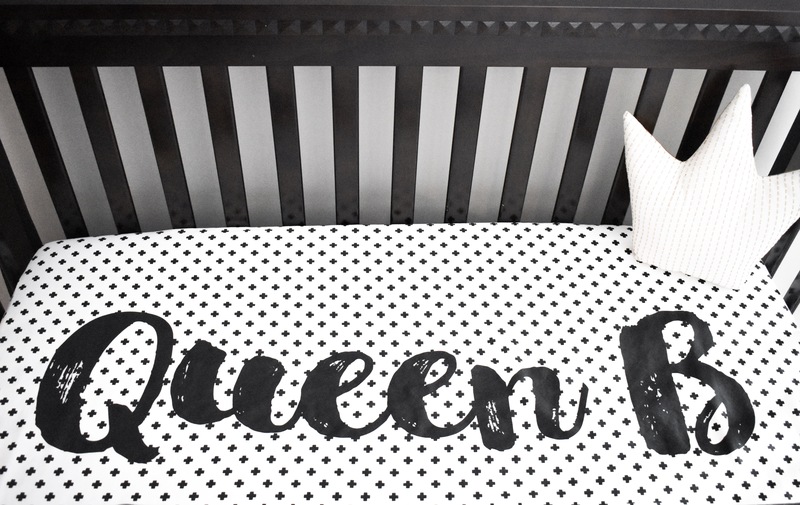 Both her crib sheet and blanket are personalized just for her! Oh, and the custom crib teeth marks are courtesy of Big Brother (we’re re-using Colton’s crib since he is in a big boy bed now!). I knew I had to have this personalized crib sheet as soon as I saw it. Both the crib sheet and blanket are from Carousel Designs. 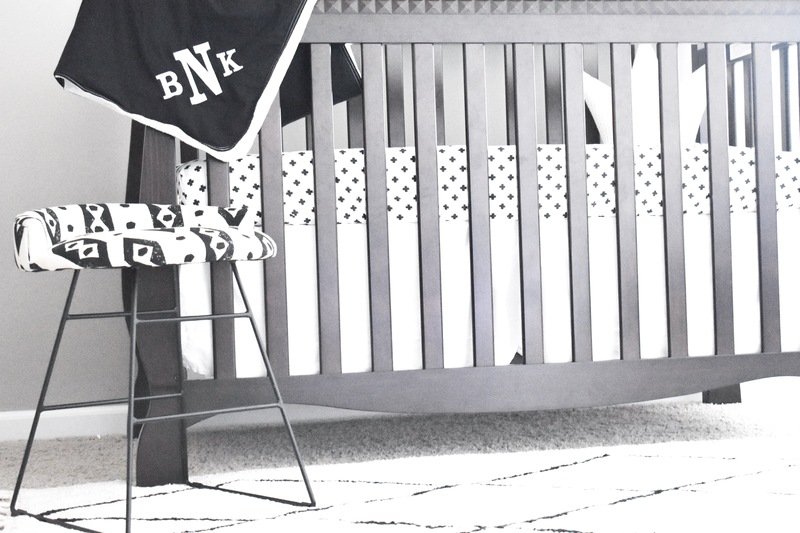 They offer nursery bedding and decor to fit any theme. And, of course, the ability to customize your own design! In keeping with our monochrome nursery theme, I selected a black and white pattern (Onyx Mini Swiss Cross) for the crib sheet. 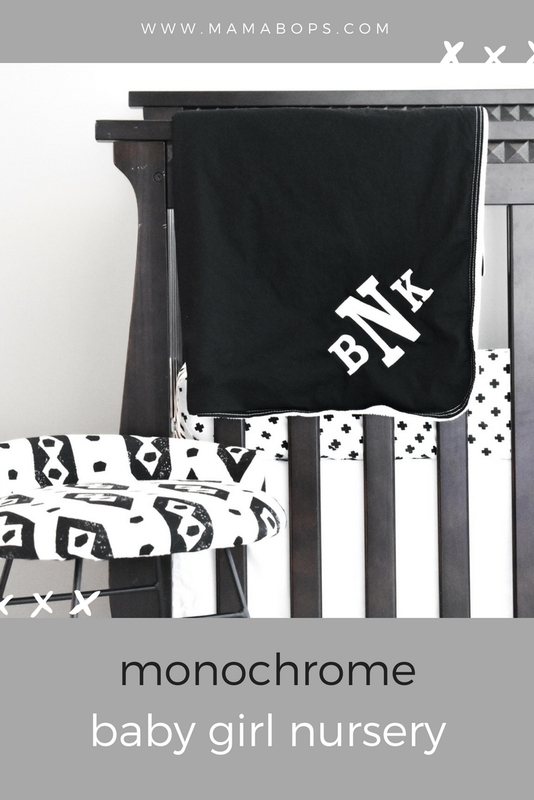 Her monogram blanket is black on one side and a soft white minky fabric on the other. It should be nice and cozy for wrapping her up! And you know I’m a sucker for anything monogrammed! And, oh yeah, we still don’t know her middle name. Guess we should get on that. Ready for our Queen B to make her debut! I loved being able to play with different fabrics, fonts, and text options to design the perfect crib sheet for our little lady. I wish I would’ve known about these custom options when Colton was born! 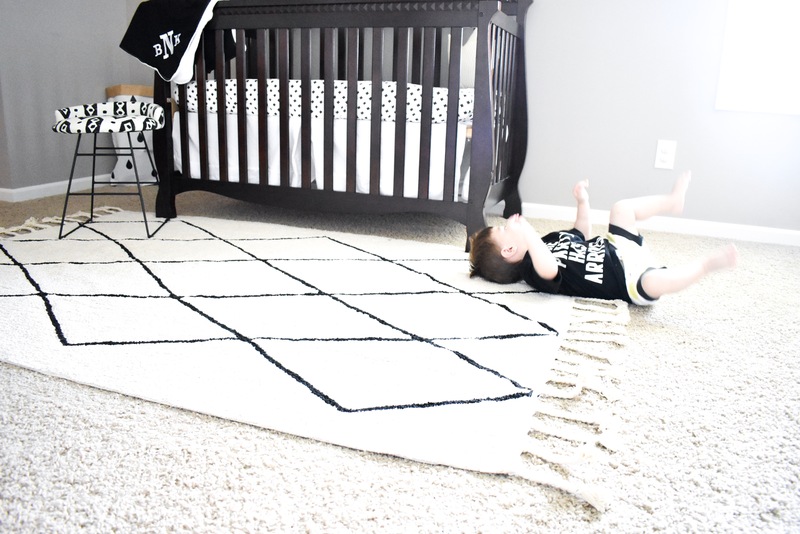 Another of my favorite pieces in our monochrome Baby Girl nursery is this amazing Lorena Canals rug. I know it will be a great place for our little lady to enjoy tummy time and playing with her big brother. And the best part? It’s machine-washable! Perfect for life with a newborn and toddler. And a dog. Okay, who am I kidding? I’ll probably be the first one to spill on it. Colton takes his Big Brother duties very seriously. He’s already practicing keeping an eye on his little sister! He’s been going with me to my doctor appointments (which are becoming much more frequent nowadays! Thanks, third trimester!) and loves to hear Baby’s heartbeat. He gets the biggest smile on his face and looks so proud whenever he hears it. We had originally planned for his grandparents to watch him during my appointments, then he went with me once out of necessity. He had such a good time and says “yeah!” whenever I ask him if he wants to go back. So, he’s getting to be pretty friendly with my OB and chiropractor. Last week, Colton and I visited a children’s museum with a nursery area. The “nursery” is sponsored by a local hospital and has a really fun setup. He was able to practice putting a baby in a bassinet, swaddling a baby, and holding a baby. I was so proud of him! I cannot wait for the moment when my two children meet each other for the first time. I’ll be a crying mess. Happy to have this shelf styled… at least for now! I’m always rearranging decor all over our home. So is Colton, although I question his taste sometimes. Today, he brought a bath mat into the living room and stylishly draped it over the arm of the couch. Later, he moved our bar cart into the laundry room. Maybe he’s onto something there, as doing laundry does make me want to drink. Unfortunately, I’ve been pregnant or nursing the entire time we’ve owned the bar cart, so the only thing on it is an empty basket. Maybe one day I’ll get to stock it! I picked up this Target wall shelf several months ago. I didn’t have any plan as to where I would use it, but I loved the design and knew I needed it. That was hard to justify to my husband! Once we found out we were expecting again, I knew I would be able to work it into the nursery. 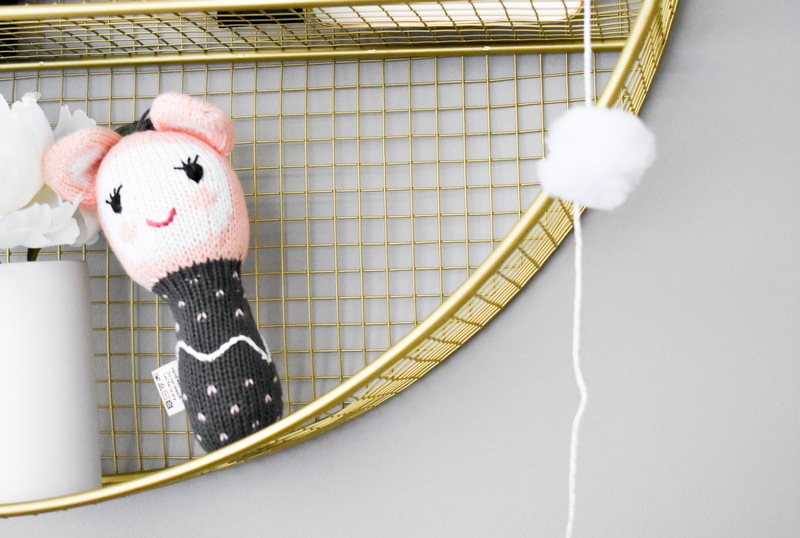 How precious is this little Finn + Emma rattle? I love the sweet details (she’s hand knit!) and know she will be a wonderful keepsake for our little girl. 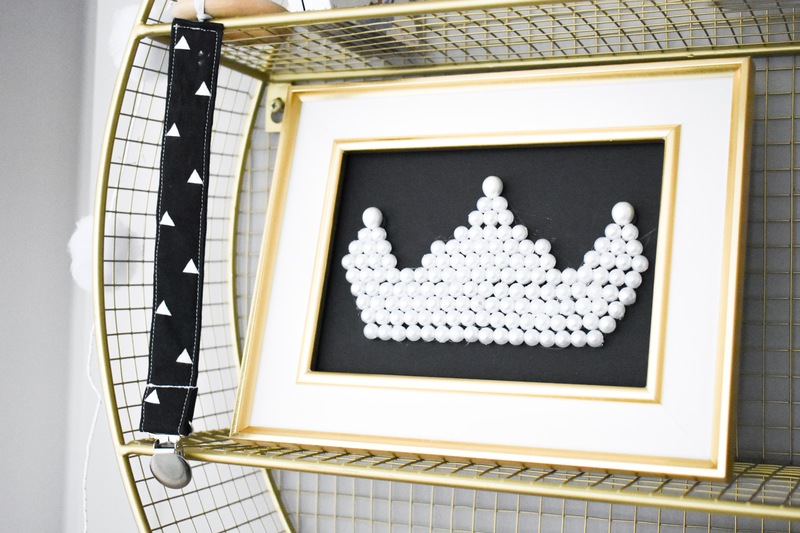 The pearl crown frame was a DIY project (with help from Colton!). We are both proud of how it turned out! 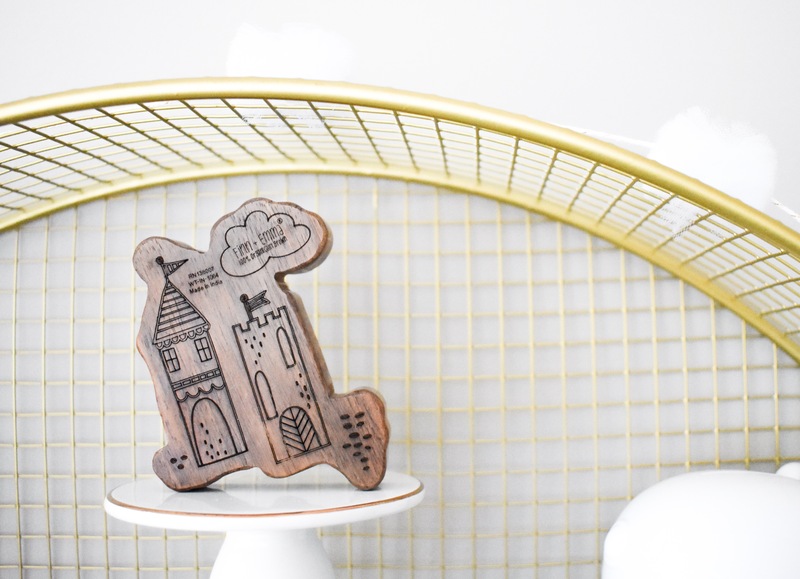 This hardwood rattle/teether is also from Finn + Emma. I couldn’t resist the castle design for our Queen B! Colton loves this toy, too. He likes to have me get it down from the shelf so he can carry it around and shake it! Funny how they develop a renewed interest in “baby toys” when a new baby is coming into the picture. 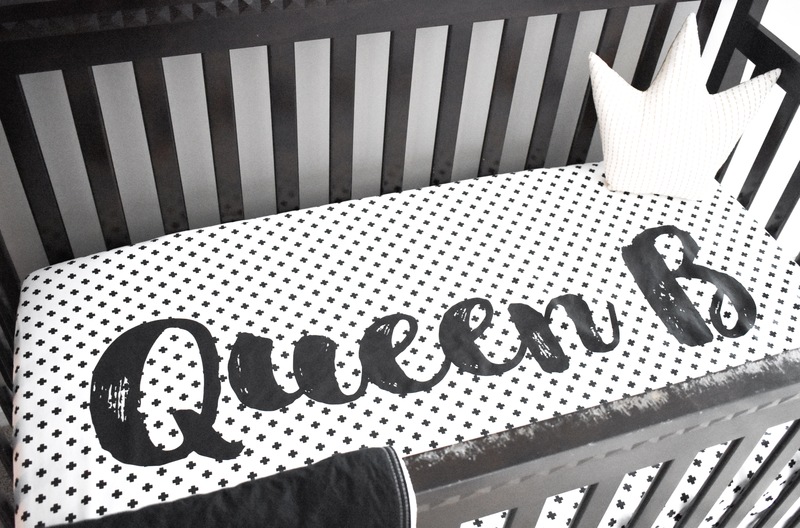 So, that’s our monochrome baby girl nursery… for now! I just love how everything is coming together in here. I can’t wait until the entire room is finished! I’ll post a full source list at that time, but feel free to leave a comment if there’s anything you’re curious about. 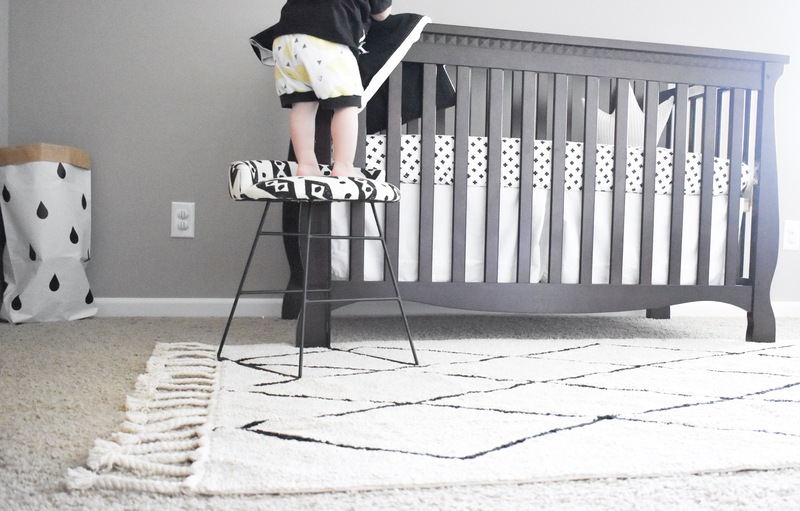 Pin these Monochrome Baby Girl Nursery ideas for later! Super cute and personal! I also really love that color scheme, its simple and classic and they can grow into it! Thank you, Tiffany! Yes, my hope is that the decor will grow with her! Oh I love this!!!! I’m all about black and white themed things, so this is perfect! Thank you, Lauren! Black and white is one of my favorite color schemes. So classic! Such a gorgeous and classy decor! Love love this room! Can’t wait to see it completely finished! Thank you, Amanda! I’m so excited to see her room coming together! How chic! Love that little stool. Thanks, Julie! I put it in the cart as soon as I saw it! Wow I’m obsessed! Pinning for inspiration later. Aww, thank you! Thanks for pinning! I’m obsessed! 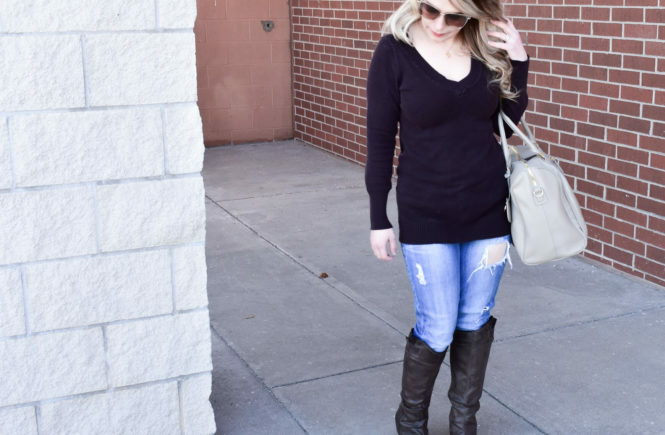 Pinning for inspiration later! Thank you so much, Candice! I totally understand wanting another baby. 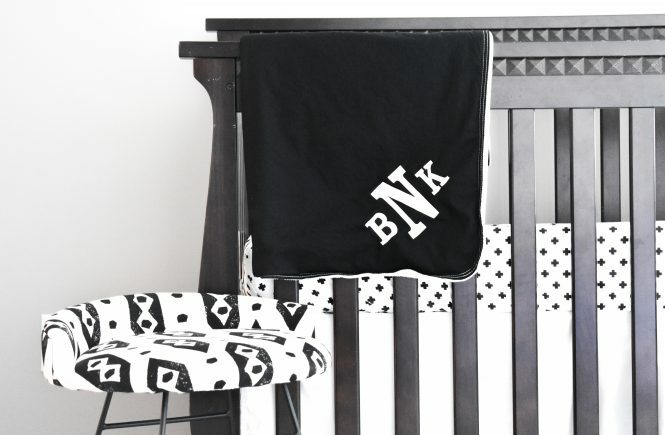 It’s hard to resist all of the cute nursery decor and baby clothes! Aww, thank you! I hope she will love it! This is a gorgeous room! I especially love the sheet and DIY crown. Adorable! Looooooove your nursery! So simple, but beautiful! I really like the Target shelf. So pretty! I am obsessed!! I love that crib sheet! Thank you, Nicole! I’m so excited for our little lady to be here and use it! I love your color scheme as well. Thanks, Meghan! 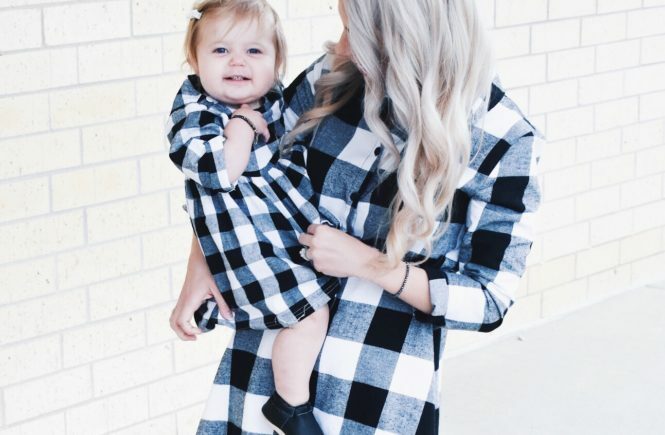 Monochrome is always a classic! I saw this sheet on your Instagram and definitely wanted to know more because it’s the cutest! My two year old daughter’s name is Bianca so she is certainly the “Queen B” in our home.